Delaney has served three terms in the U.S. House, but is not seeking reelection in 2018. Instead, he plans to visit Iowa twice a month over the next year and make trips to the other states that host early voting contests in the next presidential election. He campaigned in South Carolina Saturday, then flew to Iowa for an event in Audubon late this afternoon. Delaney, who is 54 years old, is a former banker who founded two companies. His net worth is in the neighborhood of $90 million according to the Associated Press. 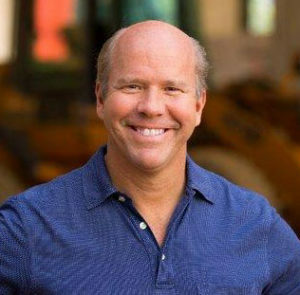 During his first campaign for congress in 2012, Delaney promised voters he’d bring “the perspective of an entrepreneur to a gridlocked congress.” Delaney’s prescription for the Democratic Party in 2017? Figure out how to appeal to Americans who’ve been “left behind by the pace” of economic change. Other, better-known Democrats in the U.S. Senate have united behind a bill calling for a single-payer health care system and many in the party consider Trump’s 2016 triumph a call to action. Delaney, considered a moderate in the party, does not label Trump as the “villain.” During his meeting with Democrats in Audubon, he didn’t mention Trump’s remarks about NFL players taking a knee during the National Anthem. Delaney told Radio Iowa that Americans are looking for “civility” in their politics and “bipartisanship,” but he considers competence the more pressing concern. Delaney was in Iowa last month and visited the Iowa State Fair, a traditional stop for politicians with White House ambitions. Tomorrow at 8 a.m., Delaney is scheduled to be at Duncan’s Cafe on Main Street in Council Bluffs to greet and talk with breakfast-hour customers. The 2020 Iowa Caucuses — if they are held on Monday, February 3 — are 861 days away.